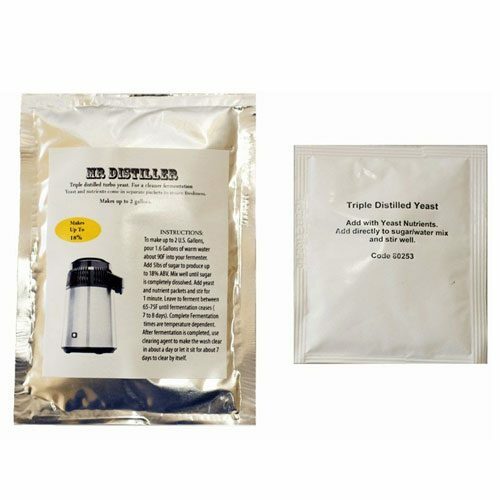 Dual Purpose Turbo Yeast 14% in 48 hours or 20% in 5 days. 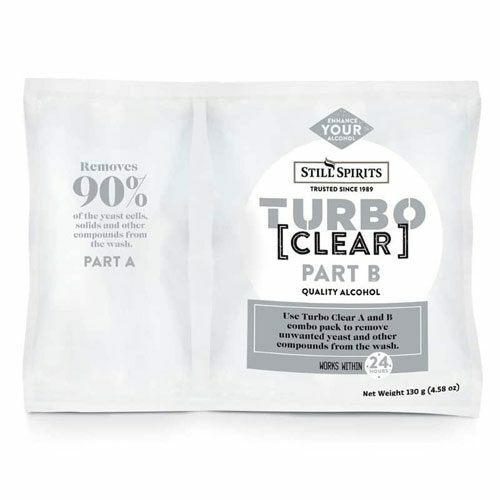 The 48-Hour Turbo Yeast with AG 22lb (10kg) is specially formulated for a pure fermentation, and produces very little volatiles. Specifically formulated to work with just sugar or mash made with corn, barley, rye, oats, etc. This is a 22 pound bag. Instructions: Pour 5.5 gallons (21L) of warm water (104 Degrees Fahrenheit/40 Degrees Celsius) into your fermenter. Add 13 lbs. 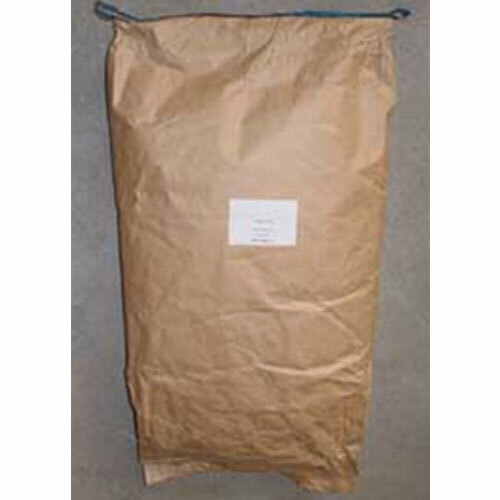 sugar to make 14% alc./vol. in 2 days, or 18 lbs. to make 20% alc./vol. in 5 days. Mix well until sugar is completely dissolved. Add the Turbo Yeast package contents and stir for one minute. Leave to ferment between 70-85 Degrees Fahrenheit/21-30 Degrees Celsius until fermentation ceases. Complete fermentation times are temperature dependent. 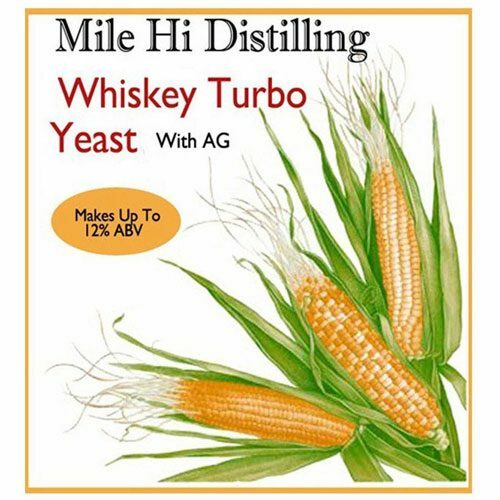 I own a small distillery and we use this yeast for hard to ferment washes. 100% agave wash sometimes gets infections while using other yeast strains with nutrients but it always works with this yeast.